We have all the tools you need to start raising the money you need. Successful events start way before the first ticket or item is sold. Cause Events sweats the small stuff so you don’t have to. With our robust platform of features, you can create a seamless and memorable event that attendees are thrilled to pull out their wallet for. A well-organized event starts with a beautifully branded, mobile-optimized website – no coding required! Our intuitive Organizer’s interface asks you all the important questions, so you won’t miss any details. Simply upload your logos and images, add pertinent event details, and you can have your event website up in under 10 minutes! Your guests can purchase tickets to your event, any time and from anywhere, even their phone! Pre-registration allows them to save their payment information for faster checkout on event day. You can also simplify check-in at your event by going ticketless. All your guests need to do is download the Cause Mobile Wallet app, and they can avoid the lines on event day! The Cause Events platform can even handle auctions. No more spreadsheets or storing credit cards in insecure documents! Register bidders online, keep their preferred payment information securely on file, and charge them for their purchases once the event is over. We’ll even generate the donation and tax receipts for you. 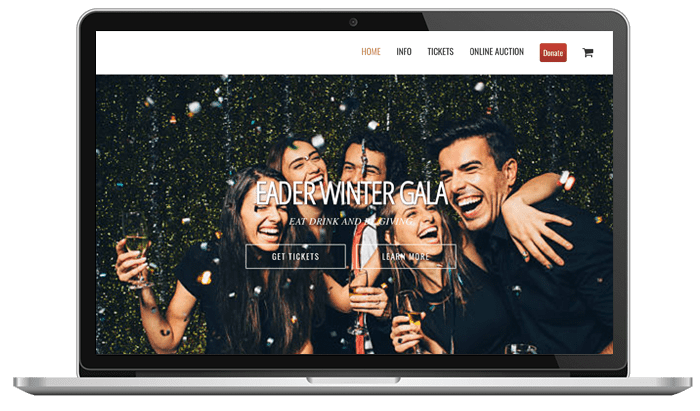 List non-auction items for sale right on your event website with the built-in e-commerce solution, and easily boost your bottom line. Quickly and conveniently process payments for tickets, donations, bids or sales merchandise with our integrated payment processor for one low fee – no need to integrate an external payment processor. We can process e-checks and all major credit cards, including American Express, for just 4%. * Your funds can be in your bank account in as little as one business day! The Cause Events dashboard generates purchase confirmations and receipts for payments, and shows any tax deductible amounts for donors to use in their tax preparation. Your branded event website encourages easy sharing through social media and email sharing icons. Turn your guests and fans in to your best promoters. Get basic analytics about your event: number of attendees, registered bidders, total amount raised, and more in our convenient Organizer’s Dashboard. Is there something else you need for your event? Contact us today to discuss your event needs. **For events that will require Cause staff/onsite presence, please contact us for pricing. Start raising the money you need!